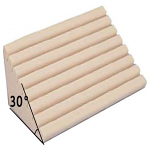 There are many factors to consider while shopping for Wheelchair Cushions and Backs, not the least of which are comfort and complete relaxation. Those whose posture is affected by an injury or a surgery are most likely looking for a product that offers immaculate positioning. 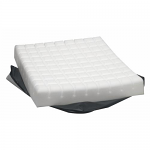 Span America Wheelchair Cushions and Backs are designed to provide extra support and comfort. 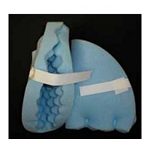 If you have experienced ischial pressure sores or pressure ulcers, Sportaid assists you in finding the right options according to your requirement. 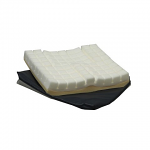 Browse through our huge selection of Span America Wheelchair Cushions and Backs or feel free to call 1-800-743-7203 for help choosing the right option today. You'll be glad you did! Get the best deals on Span America Wheelchair Cushions and Backs with savings up to 38% at Sportaid! 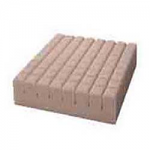 Find the Right Span America Wheelchair Cushions and Backs for You! 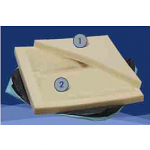 Span America Cushions and Backs are designed to create a firm base for safe transfers, easy propulsion, and better fit into the wheelchair cushion system. 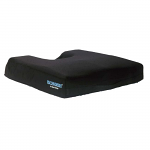 Sportaid offers a huge collection of Span America Wheelchair Cushions and Backs at affordable prices. 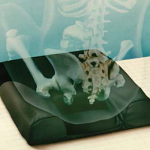 You can choose from great options like the Isch-Dish Thin Wheelchair Cushion, Plus Wheelchair Cushions, Geo-Matt PRT Cushion, or the Gel-T Wheelchair Cushion. 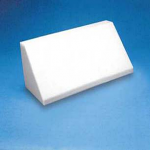 Span America has made it their business to proved the ultimate relief for ischial pressure sores or pressure ulcers, and Sportaid's expert team will guide you on choosing the right option for your specific needs. Whether this is among your first visits to Sportaid or you have been shopping with us from the beginning, we guarantee satisfaction. More than 25 years in the business of helping people find Span America Wheelchair Cushions and Backs at the lowest prices has made Sportaid the industry leader! We also offer a selection of wheelchair parts and wheelchair accessories that makes us capable of beating any competitor's advertised price, just call! Our customer service staff has over 50 years of experience, plus over 90 years of combined wheelchair use experience. We look forward to working with you!